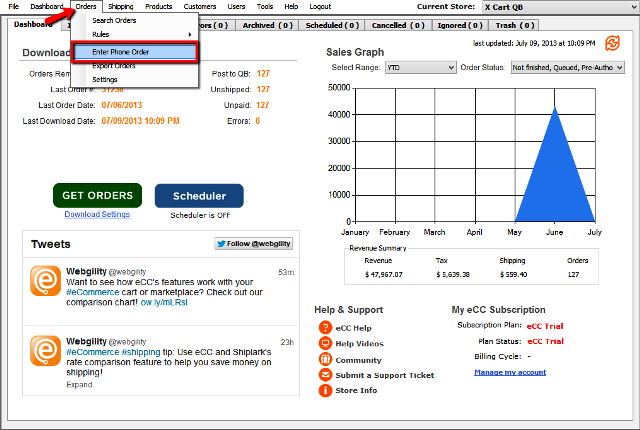 Use the Create Phone Orders screen to manually enter a new order placed by a customer over the phone. This screen can be found by going to Orders >> Enter Phone Order. When a phone order is created in Unify Desktop, there is no record of it within the online store, therefore it cannot be posted back to store. Customer notification of shipping details must be communicated manually to the customer. 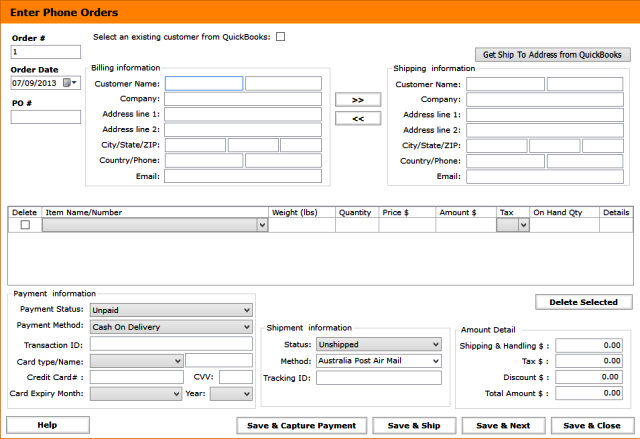 During the creation of a phone order an existing customer from QuickBooks or you can enter a new customer. For the item details on the phone order, either type them, select them from the dropdown or scan a barcode to enter the item. Once the phone order is entered, you need to enter payment details and click capture payment. Note: this feature will only work if you have got offline payment processing setup. You then have the option to save and close the phone order, save and enter a new phone order or even save and directly move to the process shipping screen from where you can print a label!